« Early thrombolysis knocks out pPCI yet again . . . this time from Shanghai ! Interventional closure of potholes outside cath lab with simple concrete device ! 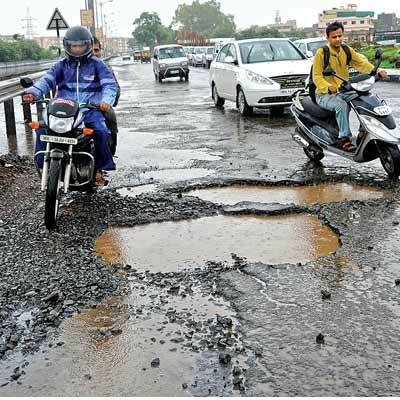 As I negotiate through the rain battered roads of my city to reach the cath lab in time to to witness a ASD device closure in my hospital , I realised a harsh fact that potholes kill more humans than dreaded holes in the heart (VSD and ASDs) and wondered , should we switch profession temporarily and help close these deadly holes first ! after all Noble profession is all about relieving human suffering and preventing loss of life.